I love doing these custom roller derby skate numbers in silver, but often forget to take pictures of them before sending them out. This 56 was a nice one to do – lots of lovely curves to cut out of solid sheet silver with my tiny sawblades. 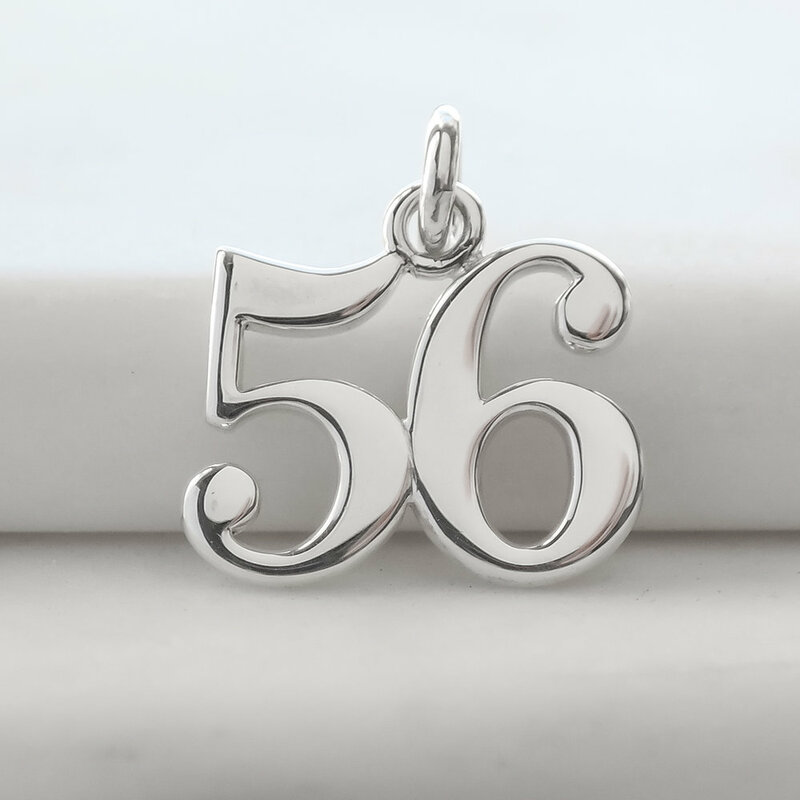 If you’d like a custom number, or initial charm to add to your necklace, you can order numbers here and contact me for initials in almost any font you can imagine. Silver Roller Derby Helmets Back in Stock!